Dec. 22, 2300 block of Avenue C, battery. A 27-year-old man was arrested for battery following a neighbor’s report of an altercation. Bradenton Beach police arrived to find a naked man with scratch marks on his face. He acknowledged having an argument with his girlfriend. After the woman went outside to speak with the officers, the man became increasingly belligerent, threatening the officers and the woman. Police determined the scratches on the man were consistent with the woman defending herself and placed the man in handcuffs. He was transported to Manatee County jail. Dec. 24, Coquina Beach, 2601 Gulf Drive South, burglary to vehicle. A 66-year-old Ellenton man went to the police station and reported a theft from his vehicle. He told police he left his car unlocked and walked on the beach for about 15 minutes. The man returned and discovered $200 in tools and a bag containing prescription medicine were stolen. Dec. 23, 3600 block of 117th Street West. Domestic disturbance. A couple living together argued and the man left. When MCSO deputies arrived, the woman advised that at no point did the argument become physical and the man had gone away to cool off. Dec. 24, 4400 block of 125st Street West, suspicious incident. Two women reported someone stole a car, car keys, a bracelet and $60. The investigation determined there was no forced entry to a vehicle and the vehicle was on the scene. Dec. 15, 700 Manatee Avenue, marijuana ordinance. An officer stopped a motorist for a traffic violation, observed a bag of marijuana next to an 18-year-old passenger and noted the odor of marijuana in the vehicle. Another officer determined the marijuana weighed 8.7 grams. The passenger was cited. 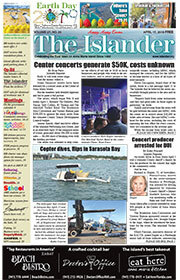 Dec. 16, Manatee Avenue, Gulf and Marina drives, suspicious circumstances. 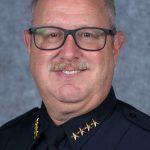 At about 1:16 a.m., HBPD Officer Alan Desantis heard six to eight bangs that sounded like gunshots coming from the northwest as he stood at the west end of the Anna Maria Island Bridge. Desantis checked with another officer at Manatee Public Beach, who heard the same sounds, as well as people at Kingfish Boat Ramp, who said they’d seen tracer rounds being fired low to the water in an easterly direction. Later in the day, a Domino’s Pizza delivery driver reported seeing a man with a rifle walking near Gulf and Marina drives. It is unknown whether the man with the rifle is connected to the earlier gunshots. Dec. 17, 5400 block of Marina Drive, marijuana ordinance. An officer observed a motorist texting while driving, smelled the odor of cannabis and pulled the man over. A vehicle search turned up 14 grams of cannabis, a scale, a marijuana grinder and a box with two joints. Police confiscated the contraband and cited the man with a violation of an ordinance. Dec. 18, 4800 block of Second Avenue and the 100 block of 49th Street, suspicious circumstance. A woman came home at 8:43 p.m. to find a man in a white shirt prowling around her residence with a flashlight and reported the suspicious activity to the HBPD. Officers arrived and checked on a nearby residence on Second Avenue, where a homeowner in a white shirt was sitting in bed reading. The officers advised him of the woman’s report, and the man told them: “Yeah, it was me.” The man said he was outside smoking and noticed his landscaping was being poorly maintained. He decided to walk around his neighbor’s house to determine if her landscaping was in better condition. The officers recommended the man avoid trespassing in the future. Dec. 29, Sunbow Bay condominiums, 3801 E. Bay Drive, camping ordinance. A 29-year-old man, who told police he was homeless and had walked there from Cortez, was found in a carport. Police cited the man with an ordinance violation and observed him leave and board a trolley.